I call my art style Abstract Surrealism. Surrealism is usually dreamlike realism, but my art is abstract. Nearly every piece I've ever done fits into the Abstract Surrealism category. 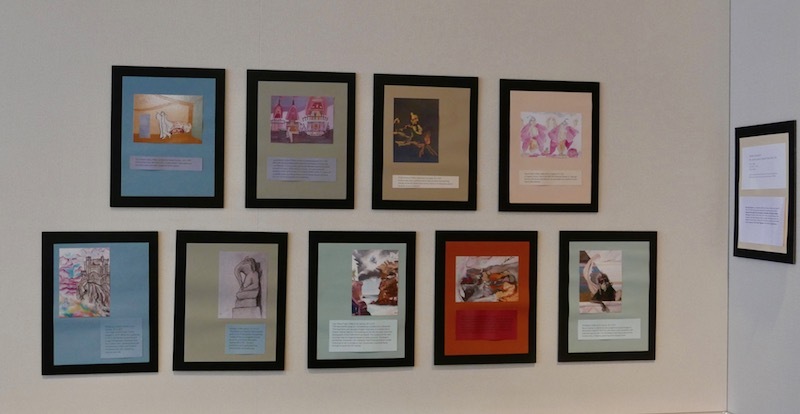 The images here are from 1990 through 1996, when I went from freshly out of ISKCON to serious graduate student, to dedicated writer-researcher and artist. 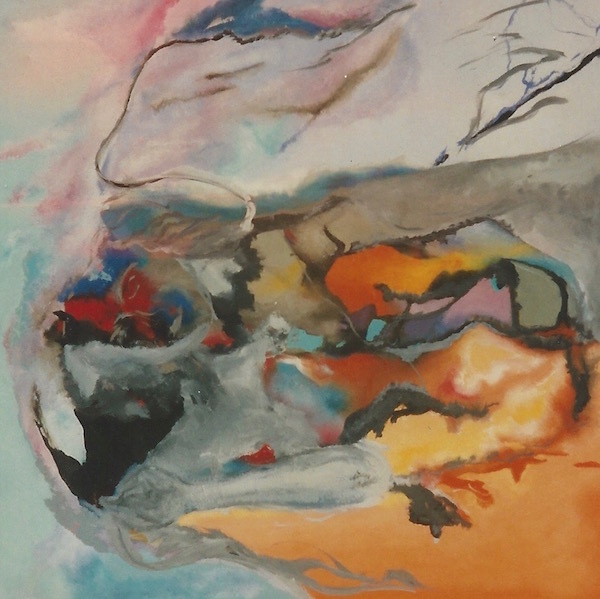 Some of the paintings simply reconnected me with things I still found sacred. 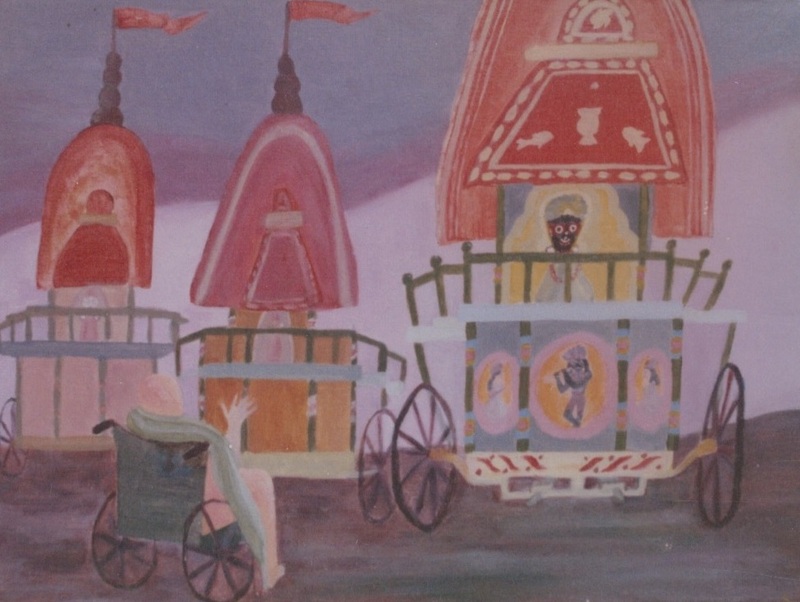 ISKCON started Ratha-yatra festivals in America to mirror the cart festivals in Orissa, and Jayananda had the engineering skills to build the carts. While dying of cancer, he supervised the building of the carts for the Los Angeles Ratha-yatra. To scout out a parade route, his friends drove him to Venice Beach and took him out on the boardwalk in a wheelchair. Krishna was born a prince, but to hide him from the evil King Kamsa, Krishna's father took him to a farm in Vrindavana, where he grew up as a cowherd. 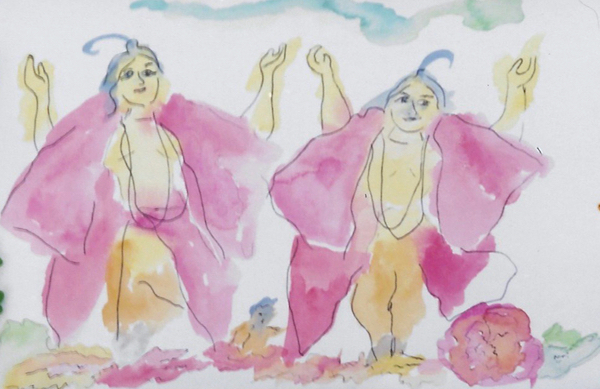 In happier times, I sat in the ISKCON Pyramid House in Topanga Canyon loft shrine and drew an ink and watercolor portrait of their Gaura-Nitai deities. In 1994, my husband and I traveled to Edinburgh, Scotland to find his roots. The siege of Edinburgh Castle started in 1571, and English forces held Edinburgh for 2 years. When the Castle fell in 1573, the forces quartered and hung my husband's ancestors from the market cross. We got to see the crosses and the John Knox House, where his ancestors had lived before the siege. Visiting Edinburgh and learning of the violent history of my husband's ancestors connected me with something visceral and real. 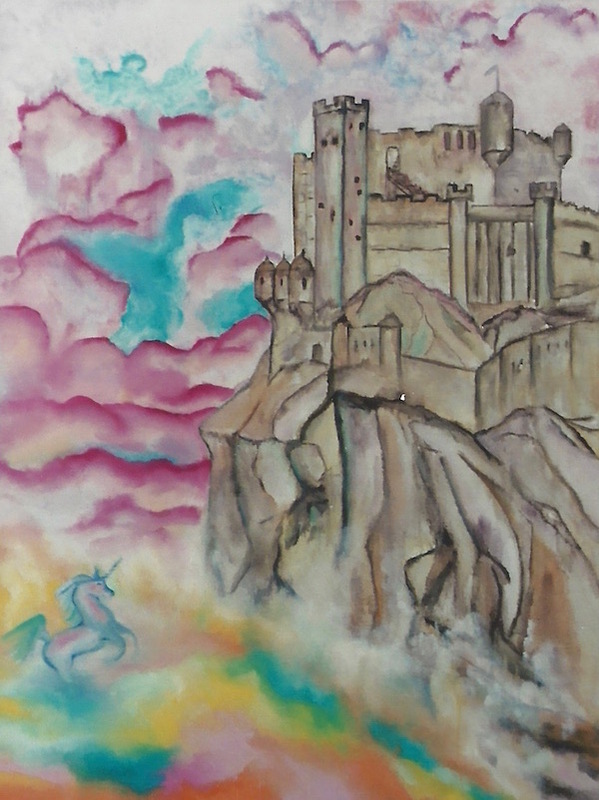 After I started as a student at Lu Bellamak's school, I soon painted Edinburgh Castle based on my photographs. 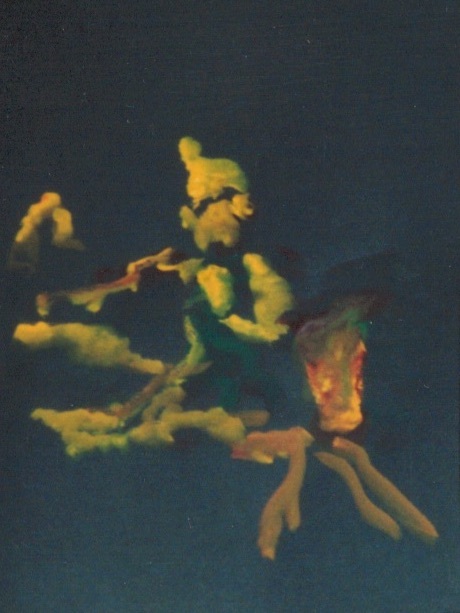 The painting evolved from the map of Vrindavana, the holy land of Krishna's childhood, where some of the worst ISKCON child abuse had taken place. I sketched the map on a large canvas, and painted an angel witnessing the abuse. The angel's face is red, showing her shame and anger. The ISKCON property, the scene of the abuse, is covered in dark clouds. 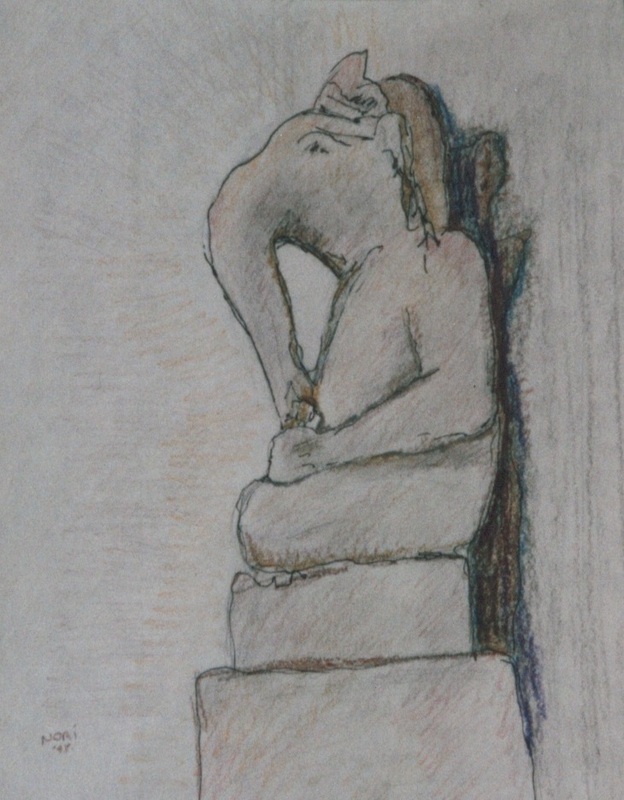 The drawing of Ganesh, the elephant god, is one of the dozens of sketches I made at the Los Angeles County Museum of Art (LACMA). The ISKCON leaders had told us we would lose our connection with god if we ever left the temple. Despite their negative programming, I found a deeper connection with spirit simply by sitting quietly and sketching. 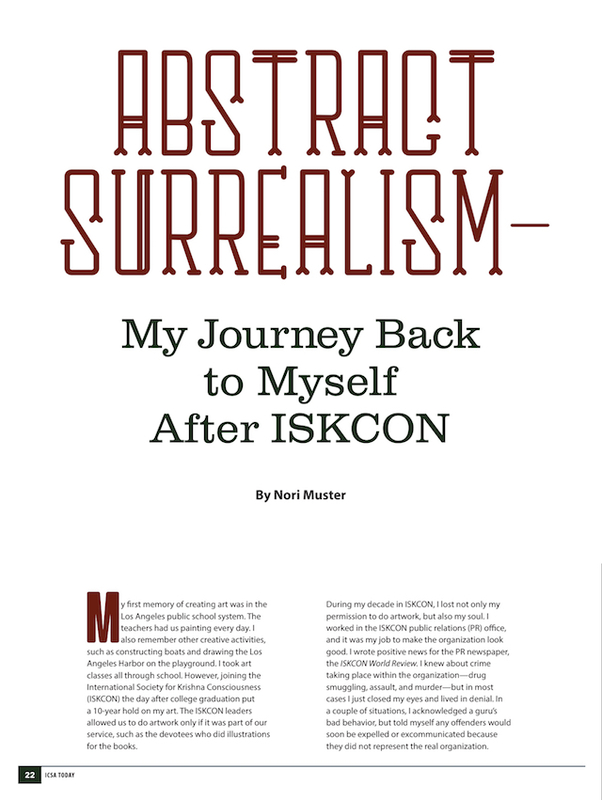 My art teacher Lu Bellamak encouraged me to paint images to desensitize myself to ISKCON, and make a new connection with India that was my own. 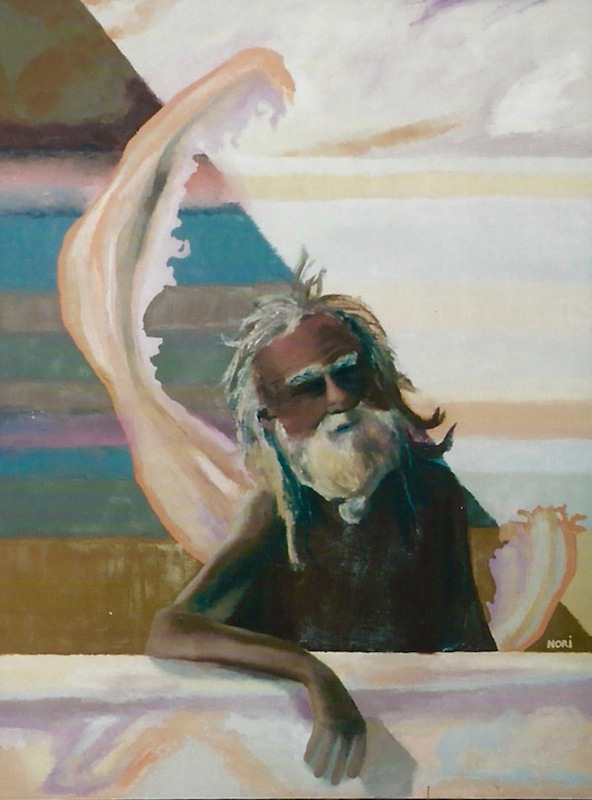 The Old Babaji came from a photo of the Kumba-mela, a religious gathering at the Ganges River. 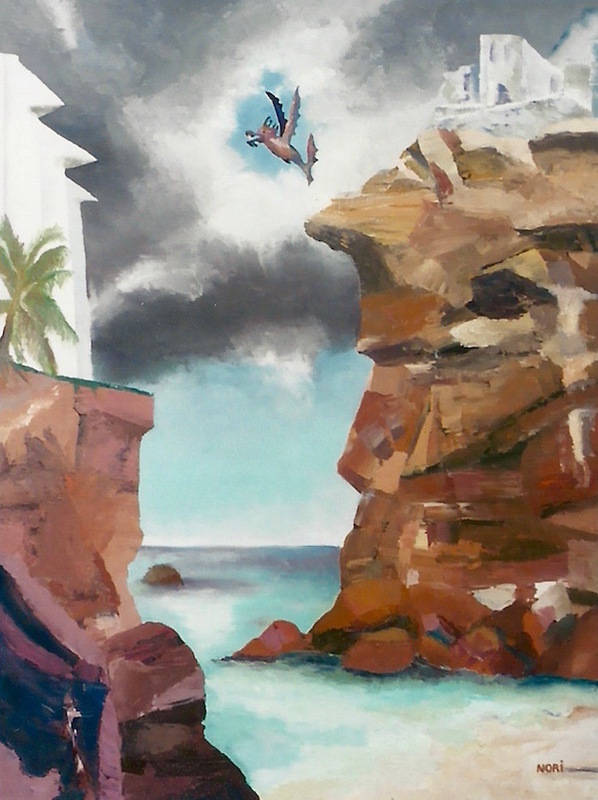 This was another large oil I completed as a student of Lu Bellamak. The mountains and sea were images I had seen on a recent trip to Puerto Vallarta, Mexico. The buildings on the left mountain were from photographs of the hotel where we stayed. The building on the right mountain was an imagined Mayan or Aztec pyramid. The dragon symbolizes Jivananda. Like Catholics, Hare Krishnas believe suicide victims go to hell or purgatory, but I envisioned Jivananda flying through a cloud hole into heaven. Around the time I left ISKCON, I had a dream I was wearing a beautiful robe lined with images of Hindu deities. 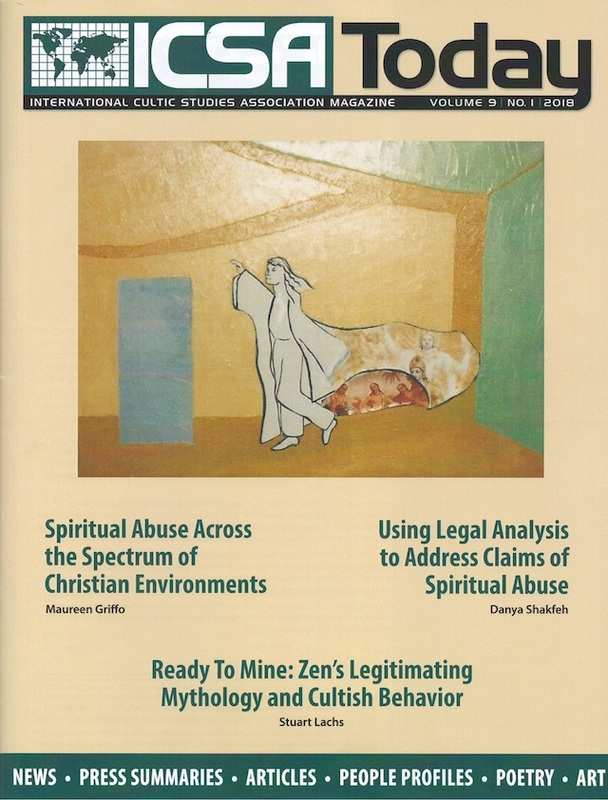 My thanks to ICSA Today for publishing my art and my story. To find out more about ICSA, go to icsahome.com. The same images exhibited at the Phoenix Project gallery at the annual ICSA conference, Philadelphia, July 4-8, 2018.